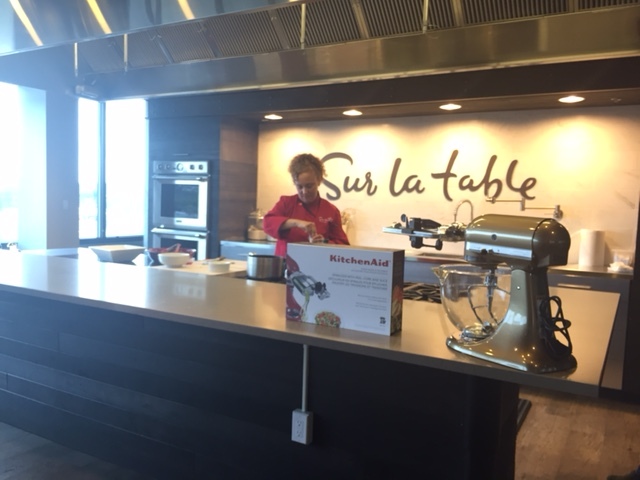 One of the highlights for me was the Sur la Table and KitchenAid excursion. Last year I missed out on it because the enrollment filled up in the 30 minutes it took me to decide if I was going to attend or not. This year, as soon as I saw the email announcing it, I signed up immediately. So glad I did! The bus that was supposed to schlep us from the Sheraton to Sur la Table’s corporate office in the Georgetown neighborhood never showed up; but people kept their cool, and eventually a fleet of taxis arrived and miraculously got us all to our destination. 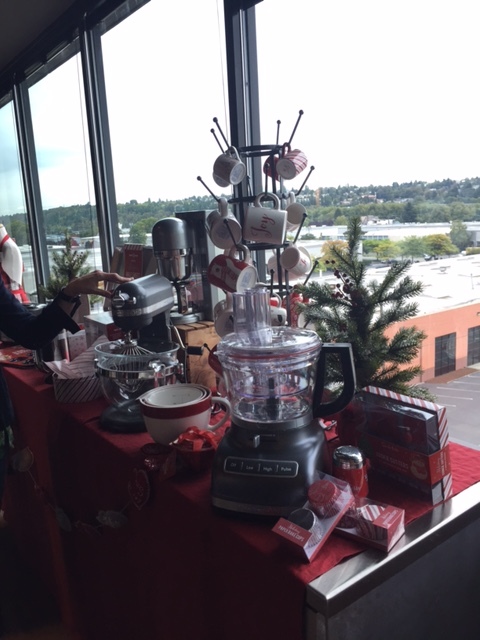 After ogling the chic, modern styling and the killer views of the Sur la Table offices, we sat down for a cooking demo that showcased KitchenAid’s fantastic new mixer attachment: the Spiralizer! I think we were all drooling over both this cool new tool and the dish that Sur la Table chefs Steffi and Shannon were preparing: sautéed zoodles (zucchini noodles, get it?) and cherry tomatoes in a light, garlicky vinaigrette. It was quick and easy, and delightfully yummy. 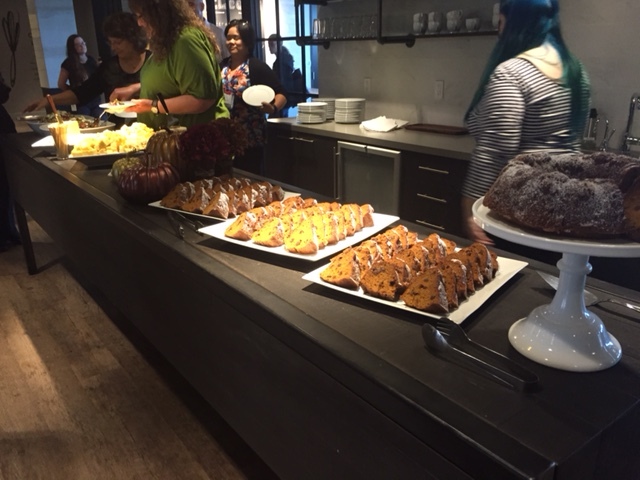 Then it was time for a little break, and at a food blogger conference, that means food, food, and more food. Sur la Table set out a gorgeous buffet of eats for us: the aforementioned zoodle salad, gorgeous golden piles of cheese from Kerrygold, chunks of rich Jo’s Candies dark chocolates, and moist slabs of Sur la Table’s own Pumpkin Spice Chocolate Chip Bundt Cake, all washed down with velvety coffee made with KitchenAid’s Precision Coffee Press. Food bloggers be happy dancin’. Then onto part two, where Sur la Table’s presentation showcased a couple dozen new items for the season. Serious case of “I want that…and that…and that.” If, like me, you love fabulous kitchenware — cookware, gadgets, appliances — then you’ll understand when I say that this was borderline pornographic. 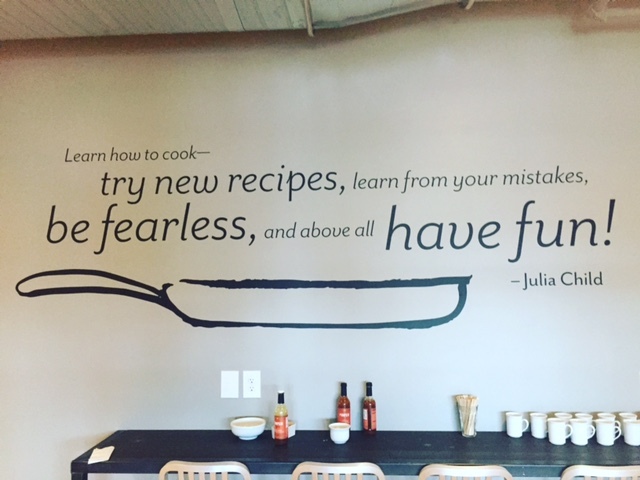 But thanks to the incredible generosity of Sur la Table, KitchenAid, and all their sponsors, we all got a Happy Ending. 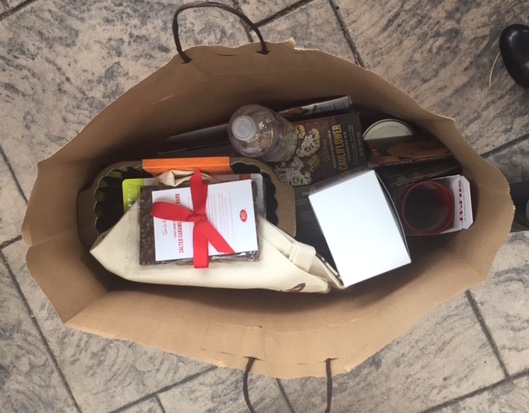 The swag bags each excursion attendee received were filled with about $300 worth of awesomeness. Merry Christmas to me! Upon our return to the Sheraton (by the previously missing bus, no less), it was food and wine sampling time, oh yeah!